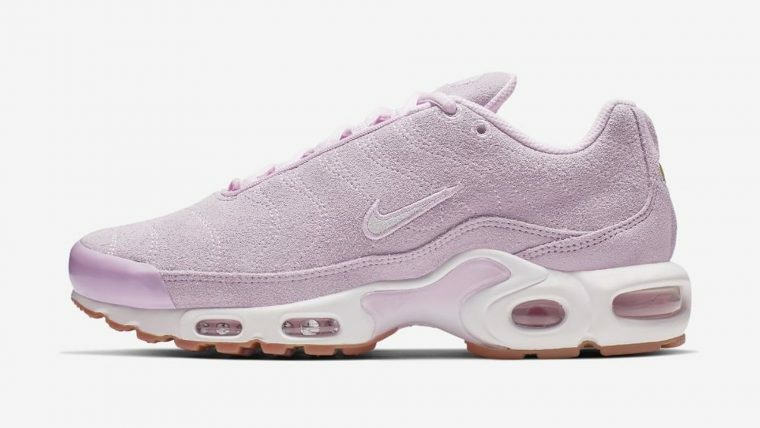 The Swoosh brand has been treating us to an onslaught of women’s exclusive TN Air Max Plus designs lately, and we officially can’t get enough! Two new pairs have just arrived in honour of Valentine’s Day, and we have now been treated to a sneak peek of your future favourite courtesy of niketnlive. In a reinvented twist, brushed lilac suede replaces Nike’s traditional synthetic and textile composition for a more subdued take on the street style staple. Ready for spring, this pretty colourway has removed the sneaker’s signature design lines in favour of subtle stitching which forms into waves across the upper. A pastel purple hue envelops the majority of the shoe, including the TN’s visible Air bubbles, while a white midsole and gum outsole provide a touch of contrast under foot. An official release date for this pair hasn’t been announced just yet, so make sure to keep your eyes peeled for more updates on this delectable trainer. In the mean time, why not check out Nike’s latest Air Max Plus colourways on our dedicated page?